New Horizon Cabinetry | Bonita Florida / Services / Reface or Replace? Reface is to renew, restore, or repair the face or surface. 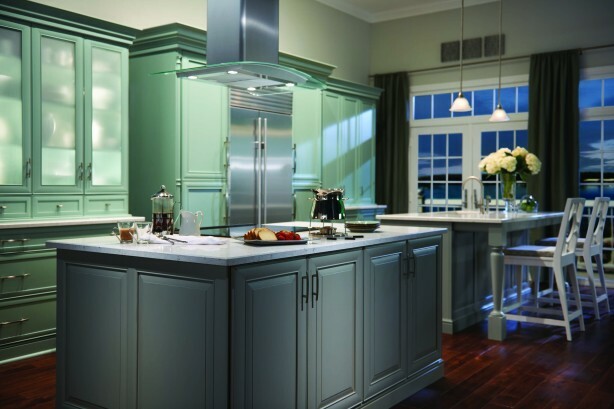 A reface option may be great for your existing cabinets. However, it is not for everyone and sometimes you simply need to replace them. Our team of skilled and trained professionals is here to guide you in the right direction for your space. Removal of all existing doors and drawers. De-grease and sand finishes of exteriors. Sometimes repair or filling is needed for scratched or flaws in exterior cabinet, in order to properly adhere the new surface. New veneer is applied to face and ends of cabinets. Installation of new doors, drawer’s fronts, and most time hardware. With our team of skilled and trained professionals, we were able to have many successful reface projects. Visit us today and find out how we can help you with your next reface project.